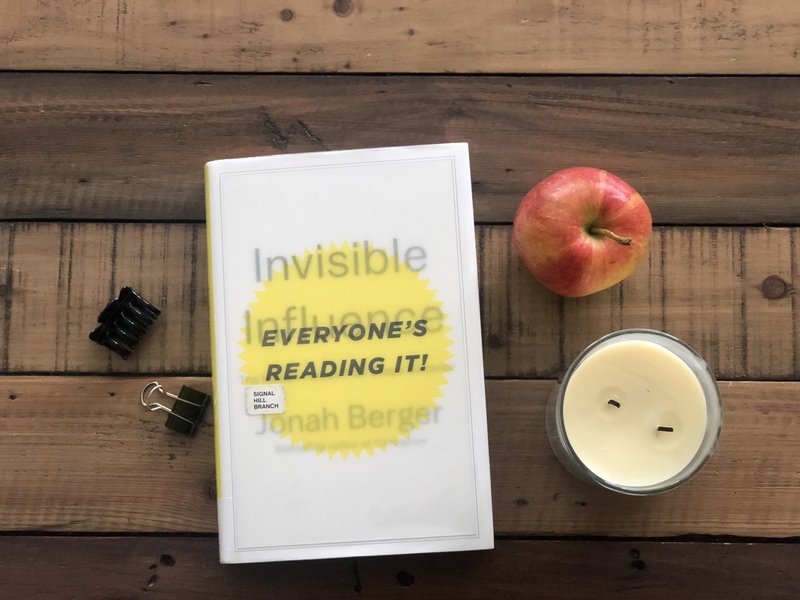 Recently I finished Invisible Influence by Jonah Berger, and really enjoyed the book for the insights into human relationship that it provides. I’m a big fan of research and I love how in this book they share lots of research and it’s application into our every day life and experiences. I highly recommend this book and for you here is the Invisible Influence book review especially 6 great insights from it! I’m sharing some of the great insights this book provides that are backed by research. You will have to read the book to get all the details. It’s been an old wives tale that husband and wife start looking like each other after a few years of marriage. Do you know that this is actually true! Good partners are active listeners and mimic the emotions of their partner. Over time they start looking like each other by mirroring the emotions of each other including worries, stress, happiness and laughs. Infact it is a sign of a good marriage if husband and wife look like each other! The first born is usually the more academic one with more leadership skills. The second born strives to be like their older sibling but on finding the path well-trodden takes a different direction in order to be different and stand out. Second borns are usually better at sports and are different in personality from the first born. This difference is present in children next to each other in birth order and the first and third born might actually be similar! Children make the connection that vegetables are not good because icecream is offered as a reward afterwards. The presence of the rewards undermines the value of the vegetables. Children will appreciate vegetables more if parents model by eating more vegetables and maybe even having a mock argument about who will get more vegetables! If your negotiations are facing stagnation, mimic the emotions of the opposite party and you will see them soften for you, opening room for the negotiations to progress! 5. Does an audience improve our performance or confuse us? We perform better with an audience for a simple task that we have practiced a lot, such as racing or running on the treadmill. The presence of company and an audience motivates us more. However, for complex tasks such as parallel parking, the presence of an audience confuses us and reduces our performance! People are motivated more when they feel that they are closer to the target rather than feeling that the goal is too far to achieve. This can be a great way to motivate students by giving them targets that are higher but still achievable. Employees also perform better when they are picked for a job for which they are qualified but for whom the job is a slight stretch, as they are more motivated to perform. Obama’s 2008 campaign employed this principle by picking folks who had been deputy directors before rather than someone who had been directors many times before. Hope you enjoyed these great insights and the Invisible Influence book review. You must read the whole book to get the background on all the research and many more insights! Next Post Which Instant Pot to Buy and Other Frequently Asked Questions!